In cities where highways and high-rises have taken up virtually every square foot of real estate there is to be had, lush parks, pedestrian walkways and bike paths can be hard to come by. 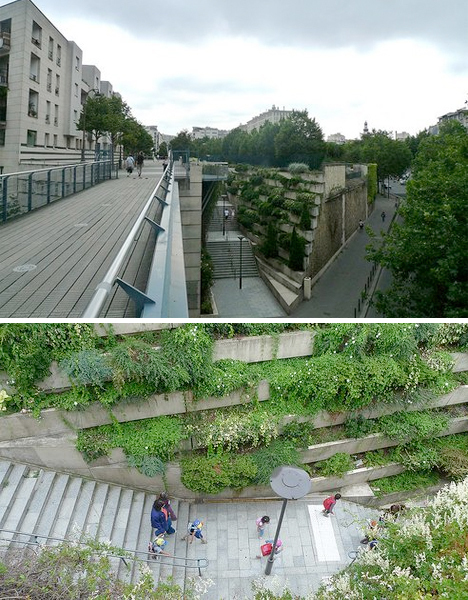 That’s why, in many cities, supporters of public green space are starting to look up, and they’re reclaiming and rehabilitating abandoned infrastructure in the process. 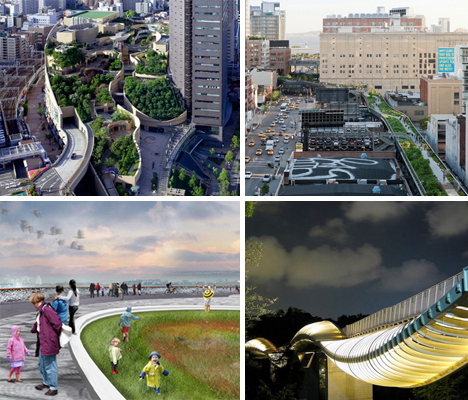 New York City’s The High Line has inspired cities across the world to consider disused railways and viaducts as elevated parks, and rooftop recreation spots are increasing in popularity, too. A rail track that was decommissioned in 1980, standing in disrepair as an eyesore for decades, is now one of New York City’s most popular attractions after its transformation into an elevated park. The High Line is a one-mile section of the former New York Central Railroad spur called The West Side, running along the lower west side of Manhattan, offering views of the city and the Hudson River along with walkways, naturalist plantings, and spots to rest. Its revitalization has spurred development in neighborhoods that lie alongside it. 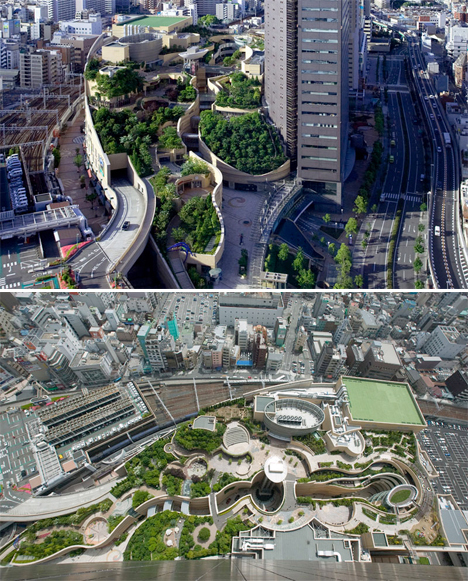 Eight levels of sloping parks full of trees, cliffs, boulders, lawns, streams, waterfalls and outdoor terraces gradually wind up the rooftop of a lifestyle center adjacent to a 30-story tower in Osaka, Japan. Namba Parks provides greenery and recreation space in a city full of concrete, where nature can be difficult to access. Spaces carved from this rooftop space down to the bottom level of the building create artificial ‘canyons’ for natural lighting. 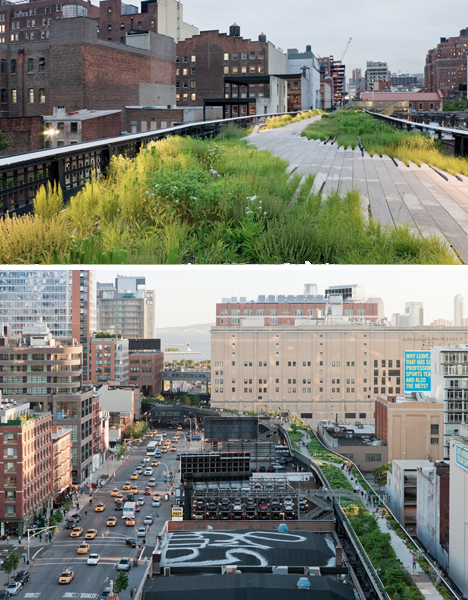 Promenade Plantee is the elevated park that started it all, predating the High Line by nearly twenty years. It was built along Paris’ elevated Viaduct des Arts, which supported the Vincennes Railway from 1859 to 1969. The arcades under the viaduct were converted into art galleries and artisan workshops. The QueensWay project has been a controversial proposal, because although additional public green space would be a great thing for the residents of the Queens borough of New York City, many people feel that restoring the rail line to underserved areas would be even more beneficial. Nonetheless, the plan is moving forward, with a 3.5-mile section of decommissioned railway set to become a park.